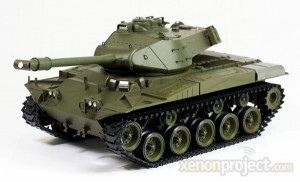 Let us now take a look at some RC tank model kits and compare the amazing features of each model. [caption id="attachment_177" align="alignleft" width="300" caption="U.S M41A3 Bulldog RC Tank"] [/caption] This model RC tank is a 1/16 scale replica of an American tank that was made popular in the Korean War. It features a camouflage body that seems so real and the Airsoft turret has the ability to reload automatically. This Bulldog can hold a maximum of 40 Airsoft BBs which can be fired at a maximum distance of 40 feet. Firing is possible even when this RC tank is in motion. The turret has the ability to move up, down, left or right while the tank can go forward, backward, left or right. It also has a built-in smoke generator and a toy commander for added effects. [caption id="attachment_179" align="alignleft" width="300" caption="German Leopard II A5 RC Tank"] [/caption] In the German Army, the Leopard II A5 tank has been used as the primary battle tank for over three decades. 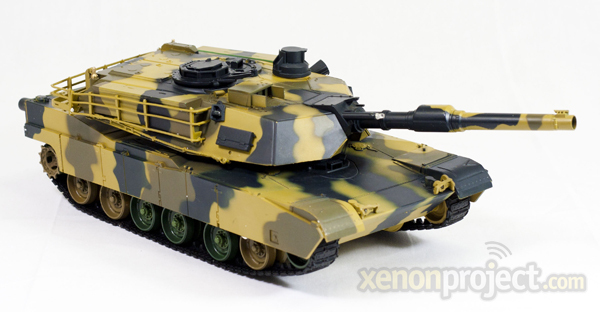 This RC tank model is a 1/24 scale replica of its real life counterpart. 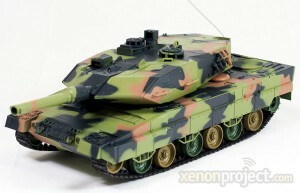 The main features of this battle ready RC tank include a body with realistic camouflage, tank sound effects, ability to fire while in motion and the ability to go against three RC tanks at once. It has a maximum of 40 Airsoft BBs which can be fired within a range of 25 to 30 feet and the turret can reload automatically. It allows functions like BB blasting, turret moving left, right, up, down and tank going left, right, forward and backward. 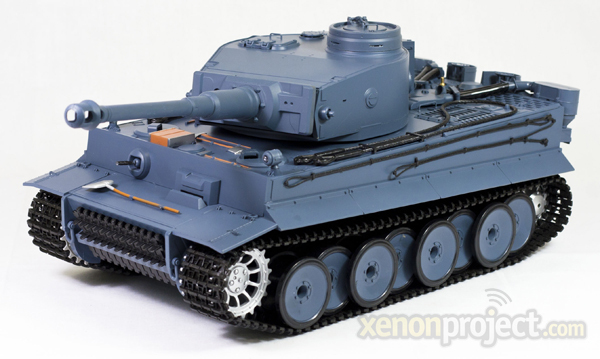 German Tiger I with Sound and Smoke at $79.99 [caption id="attachment_180" align="alignleft" width="300" caption="German Tiger I RC Tank"] [/caption] This RC tank model is a replica of the real life armor for warfare and scaled to a 1/16 representation. Like most RC tanks, the body is camouflaged and has a built-in smoke generator. It even includes a toy commander for extra effects. The Airsoft turret has the ability to automatically reload BBs which can be fired up to a distance of 40 feet. It can fire while moving and it has a maximum capacity of 40 Airsoft BBs. The turret can move left, right, up, down while the tank can go in forward, backward, left and right directions. M1A2 Abrams at $49.99 [caption id="attachment_181" align="alignleft" width="300" caption="U.S M1A2 Abrams RC Tank"] [/caption] This RC version is a 1/24 scale replica of the original M1A2 RC battle tank which is widely used in real life battles like Kuwait, Egypt and Saudi Arabia. The manufacturer has paid extra attention to detail in order to make this RC model behave like its real-life counterpart. The body has a realistic camouflage and it is ready to battle against three tanks all at once. It has an auto reload turret and the cannon can fire a remarkable distance of 25 to 30 feet. It can fire in motion using the BBs which can be loaded 40 at a time. The functions include blasting BBs, moving the turret left, right, up, down and the tank can move forward, backward, left and right. The rubber caterpillar treads make it easier to perform maneuvers in the mock battlefield.